Hundreds of Catholic faithfuls gathered at Jacksons International Airport recently to welcome Vatican’s Secretary of State, Cardinal Pietro Parolin. Among them was Chairman of the Board of Air Niugini Limited, Sir Frederick Reiher and Acting Chief Executive Officer, Tahawar Durrani who officially welcomed the cardinal on arrival. 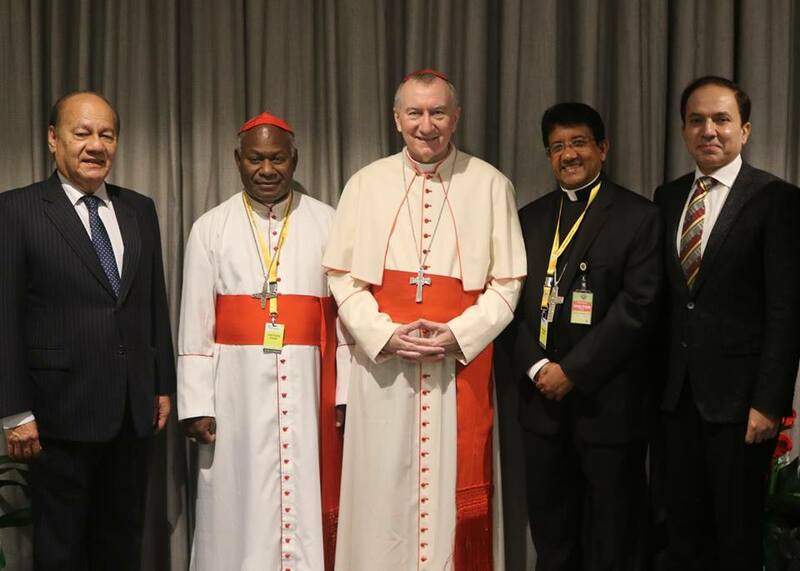 Cardinal Parolin and his entourage of bishops arrived in Port Moresby on an Air Niugini flight, PX 393 from Singapore. They were in the country for the Federation of the Catholic Bishops Conference Oceania which was held in Port Moresby. 72 bishops from the four different conferences – Australian Catholic Bishops Conference, Conferentia Episcopalis Pacifici, New Zealand Catholic Bishops Conference and the Catholic Bishops’ Conference of PNG and Solomon Islands attended the conference and discussed issues that are of importance to the Oceania region.